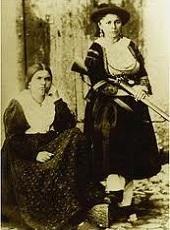 Brigandage in the Two Sicilies had existed in some form since ancient times, however its origins as outlaws targeting random travelers would evolve vastly later on in the form of the political resistance movement form of brigandage in the Two Sicilies. During the time of the Napoleonic conquest of the Kingdom of Naples, the first signs of political resistance brigandage came to public light, as the Bourbon loyalists of the country refused to accept the new Bonapartist rulers and actively fought against them until the Bourbon monarchy had been reinstated. After conquest of southern Italy by the Kingdom of Sardinia in 1861, the most famous and well known form of brigandage in the area emerged. Once the Two Sicilies had been taken, social unrest, especially among the lower classes occurred due to poor conditions and the fact that the Risorgimento benefited in the "Mezzogiorno" of Italy only the bourgeoisie vast-land owning classes. ...Driven by passion rather then politics and loyalty to their men, the brigandesse were highly regarded, they demanded to be heard and taken into account and some of them were also feared . 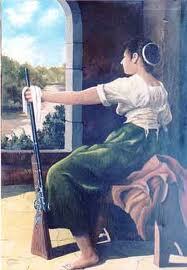 Women toting guns : they were to be the foremother of the female terrorists in 1970s Italy. 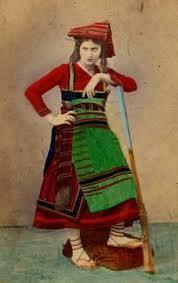 With pretty names like Michelina, Filomena, Maria, Marianna they were known as the Female Brigands. They were young, pitiless and held vague political convictions. 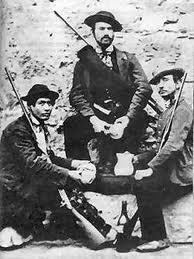 After 1860, in a newly united Italy, they chose to don a rifle and join up with the bands of brigands with whom they fought to gain control of the region of the ex-Kingdom of the Two Sicilys from the Italian army. They launched attacks against the Italian authorities (who were regarded as foreigners) and the land owning upper-classes, coming to be viewed by many of the common people as Robin Hood like figures, some of them gained celebrity in the area via the spreading of their stories. 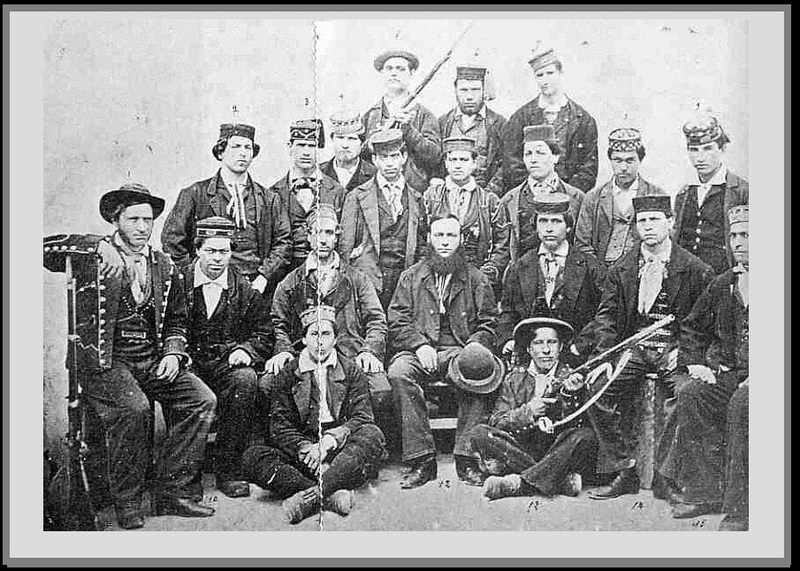 Especially after passing the Legge Pica legislation in 1863, an extremely strong handed repression of the brigands by the Italian authorities picked up; it also allowed the execution of relatives and those suspected with collaborating or helping a brigand. Villages such as Pontelandolfo and Casalduni in the Province of Benevento are famous for the killing of civilians by the so-called "Piedmontese" authorities. In total several thousand southerners were arrested and executed, while many more were deported or fled the country. Two different images of Brigandage. Above the romantic one. Seeking refuge in the mountains. Below, the crude and ruthless one. 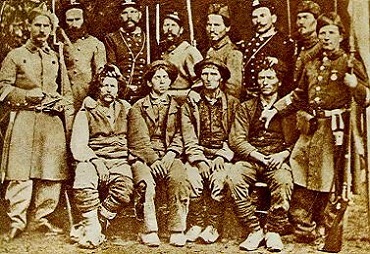 Partisans captured by the North-South Piedmont and local mercenaries. The four, are all dead in spite of appearances, they are being held up straight by their executioners. 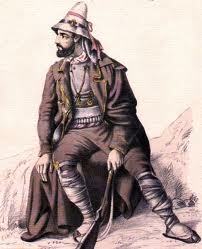 The brigand is supposed to derive his name from the Old French brigan, which is a form of the Italian brigante, an irregular or partisan soldier. There can be no doubt as to the origin of the word bandit, which has the same meaning. 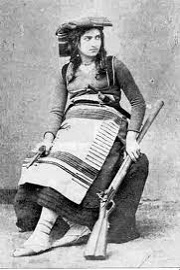 In Italy, which is not unjustly considered the home of the most accomplished European brigands, a bandito was a man declared outlaw by proclamation, or bando, called in Scotland "a decree of horning" because it was delivered by a blast of a horn at the town cross. 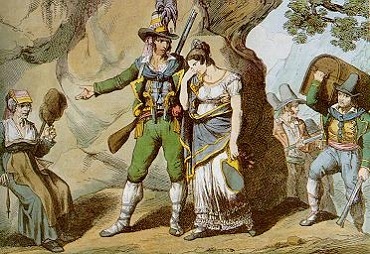 The brigand, therefore, is the outlaw who conducts warfare after the manner of an irregular or partisan soldier by skirmishes and surprises, who makes the war support itself by plunder, by extorting blackmail, by capturing prisoners and holding them to ransom, and who enforces his demands by violence. Laws of war: Towards the end of wars, there may be irreconcilables who refuse to accept that their cause is lost and continue the war using irregular tactics. 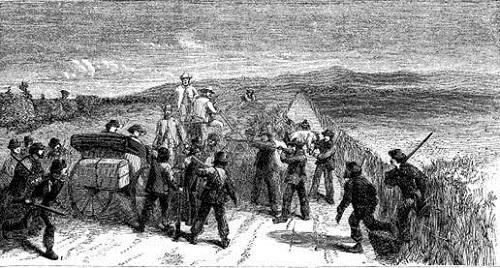 Upon capture by the victorious side, whether the capturing power has to recognize them as soldiers who must be treated as prisoners of war, or as brigands who can be tried under civilian law as common criminals, depends on whether the detainees "respect the laws and customs of war" and that they are within a chain of command and are "not persons acting on their own responsibility". Resistance: In certain conditions the brigand has not been a mere malefactor. "It is you who are the thieves", was the defence of the Calabrian who was tried as a brigand by a French court-martial during the reign of Joachim Murat in Naples. Brigandage may be, and not infrequently has been, the last resource of a people subject to invasion. 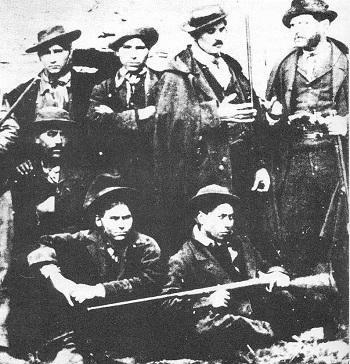 The Calabrians who fought for Ferdinand I of the Two Sicilies, and the Spanish irregular levies, which maintained the national resistance against the French from 1808 to 1814, were called brigands by their enemies. 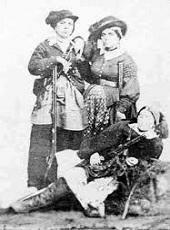 Their stories, which almost always ended dramatically, can now be recounted thanks to the reconstruction of the events of the lives of the most famous of the female brigands: Marianna Olivierio, Filomena Pennacchio, Michelina De Cesare, Maria Capitano. Speaking in the Turin parliament in November 1862, the liberal deputy, Ferrari, said "You may call them brigands but they fight under a national flag; you may call them brigands but the fathers of these brigands twice restored the Bourbons to the throne of Naples ... What constitutes brigandage? Is it the fact, as the ministry would have us believe, that 1,500 men commanded by two or three vagabonds can make head against the whole kingdom backed by an army of 120,000 regulars? Why, these 1,500 must be demigods - heroes! I have seen a town of 5,000 inhabitants utterly destroyed. By whom? Not by the brigands." The brigandage even raised temperatures in the palace of Westminster. On 8 May 1863 Mr Cavendish Bentinck said "the Brigandage is a civil war, a spontaneous popular movement against foreign occupation similar to that carried on in the Kingdom of the Two Sicilies from 1799 to 1812 when the great Nelson, Sir John Stuart and other English commanders were not ashamed to enter into relations with the brigands of that day ... for the purpose of expelling the French invaders." Even the redoubtable Disraeli threw in his tuppence ha 'penny's worth saying "I want to know on what ground we are to discuss the state of Poland [which had been invaded by the Russians] if we are not to discuss the state of Calabria and the two Sicilies. True, in one country the insurgents are called brigands, and in the other patriots; but with that exception, I have not learned from this discussion that there is any marked difference between them." Unfortunately for the Bourbon soldiers, the British government of the day had never forgiven the Kingdom of the Two Sicilies for its exploitation of the sulfur monopoly and it was happy to see Turin do what it wanted with the southern Italians and the Sicilians ... and it did. (1) Shooting with or without trial all persons taken in arms. (2) Sacking and burning disaffected towns and villages. (3) Imprisonment, without trial or indictment, of suspected persons and "relatives of brigands". (i) had in their possession arms without a license. (ii) worked in the fields without a pass in any proclaimed district. (iii) carried to the fields more food than was sufficient for one meal. (iv) kept a store of food in their huts. (v) shod horses without a license of or kept of carried horse-shoes. (5) Destroying huts in the woods, walling up all out-lying buildings, taking the people and their cattle from the smaller farms and collecting all cattle in positions where they could be placed under a military guard. (6) Refusing to allow anyone to stand neutral, and treating would-be neutrals as friends and accomplices of the brigands. (7) Rigid censorship of the press. Guaricia (Molise) - 1,322 dead. Campochiaro (Molise) - 979 dead. Casalduni (Molise) - 3,032 dead. Pontelandolfo (Molise) - 3,917 dead. Viesti (Capitanata) - 5,417 dead. San Marco in Lamis (Capitanata) - 10,612 dead. Rignano (Capitanata) - 1,814 dead. Venosa (Basilicata) - 5,952 dead. Basile (Basilicata) - 3,400 dead. Auletta (Principate Citeriore) - 2,023 dead. Eboli (Principato Citeriore) - 4,175 dead. Montifalcone (Principato Ulteriore) - 2,618 dead. Montiverde (Principato Ulteriore) - 1,988 dead. Vico (Terra di Lavoro) - 730 dead. Controne (Calabria Ulteriore II) - 1,089 dead. Spinello (Calabria Ulteriore II) - 298 dead. 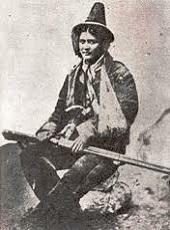 In April 1863, the Neapolitan deputy Nicotera (a Garibaldian in favour of unification and so no friend of the Bourbon uprising) said "The Bourbon government had the great merit of preserving our lives and substance, a merit the present government cannot claim. We have neither personal nor political liberty. The deeds we behold are worthy of Tamerlane, Genghis-Khan, or Attila." 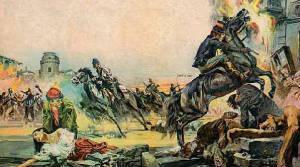 Napoleon III himself wrote to General Fleury saying "I have written to Turin to remonstrate. The details we receive are of such a kind, as to be calculated to alienate every honest mind from the Italian cause. Not only are misery and anarchy at their height, but the most culpable and unworthy acts are a matter of course. A general, whose name I have forgotten, having forbidden the peasants to take provisions with them when they go to work in the fields, has decreed that all on whom a piece of bread is found shall be shot. The Bourbons never did anything like that." Europe's first concentration camps where thousands of Southern Italians died. Thousands more died when they refused enroll in the invading army. 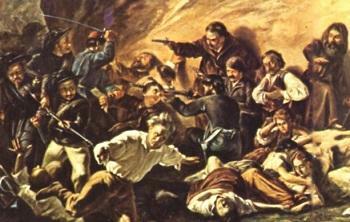 Garibaldi - The italian crook who became a english hero..